It looks good. Thank you for helping me with that. According to all of teh Jeep sites that I could find the C101 and C104 were the Jeepsters. Also as near as I could tell we coould probably do an off-shoot of the CJ series starting in 1965 for the DJ Jeeps "Dispatch Jeeps" These were made in the two wheel drive platform from 1965 to 1984 virtually unchanged. I could not find a relaiable history on these vehicles. 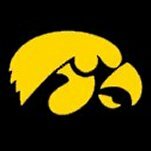 The ones included on the Iowa Eagle post came from wikipedia.com and a Jeep history website that I found. I completely forgot about the FCs, which is weird, because I looked at one on Ebay and another for sale here locally not too long ago. oops. We will have to add those, and the postal Jeeps (DJs) and the postal vans as well. I see you put the FC's in thank you. Just looking over the family tree and you're missing the Willys Jeep Utility line- the Station Wagon and Pickup. These would be the fore runners of the Cherokee, Wagneer and Gladiator. The FC 150 and 170 was a Jeep all on it's own. Other than sharing the same frame as, I believe the CJ-6, it basically has no forefathers and no descendents. DJ's were two wheel drive. I have an original Jeep ID poster, I'll see if I can get a good picture of it if you want. Witch one was that Jeep truck with the under the cab engine? That was the FC 150 and 170. Rat Pack could you try to get a good picture of that poster for us? I am sorry I overlooked a few models. Other than the dispatcher ones mentioned. I could not find any information on the others. I also could not find a difinitive list of the dispatcher models to include. Sure can. If you or anybody else wants one of their own I can put you in touch with a friend of mine in Knoxville that had repo's of them printed. Can't remember what he charges for them, I think it's under $10 plus shipping. I can find out for sure. The FC's are mentioned and have one picture -- could use a better one though. There was just not enough room to show all the variations but it is something to think about. Definately not the best pictures. It's a whole lot better in real life. I like that format. Maybe we need to do something like that. For Eagles and Jeeps. Thanks a whole bunch for that Pack Rat! Thank you Pack Rat. I think that type of format would be really cool. I am sorry that the one that I put together was not complete. Thank you for formating it Doug. I will try to update it as soon as I have time. I know I need to add those trucks and the dispatch Jeeps (postal). Thanks. Don't feel bad, the one on the Jeep Corporate website has mistakes. Of all people they should know their own heritage. Thanks for looking -- that would be helpful.